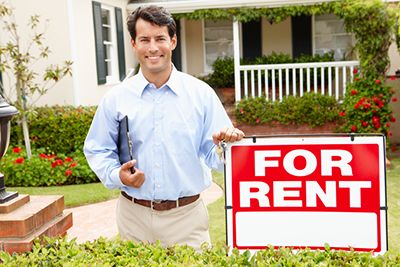 Do you manage 20 or more rental units? We have the perfect solution! Automated application process with most major residential management software! ➧ Get automated alerts with each new application submitted online. ➧ Prospective tenants can pay their application fee online too! Collect rent online! Put rent payments on autopilot! ➧ e-Check – 2-3 Day Funding! ➧ Credit Card – Next Day Funding! *Property must be registered with service provider in order to pay online with this card. Term and costs apply to use of card. Subject to ID verification. Issued by MetaBank ®, Member FDIC. –	Rent payments can be reported to all three major credit bureau. –	View your latest score and profile. Monitor rent reporting. We know time is valuable. That’s why we integrate with top accounting products and can interface with almost any package that offers file import and export functionality. We’ll keep your resident data and balance types in sync. We’ll also send or post daily deposit reports for your review. You’re different and we know it (clap your hands). An onboarding specialist works with each integrated client to understand their workflow and custom accounting practices. This is a nuts and bolts application and screening process. Sorry, no payment processing or reporting. Say you’re introduced to a new prospective tenant or have received an application or phone call. You send them link to input some basic information about themselves. They pay for and request the credit report, score, IDS Eviction and Nationwide Criminal Search ($39.99). Tenant will get a secure copy of their credit report to review for accuracy. They cannot change the report, but they can make comments. Once reviewed…. The tenant clicks an approval button which forwards the report to you for review. Seems like a weird way of going about it, doesn’t it? Not really. By doing it this way, there is a two-fold benefit. First, the tenant pays for the report, not you. Secondly, it’s a “self-screening” tool in that if the report is not very good, they may not authorize you to see it. You didn’t deny credit, they chose not to follow through with requesting credit. Since you didn’t deny credit, no declination letter necessary! Seems weird, but it works! Best of all, it’s FREE to you! "We have been with VCS for years and one of the reasons is their representatives. The representatives at VCS have always been very helpful. Whenever we need help with an account or need information there is always someone there to help. Thank you!"